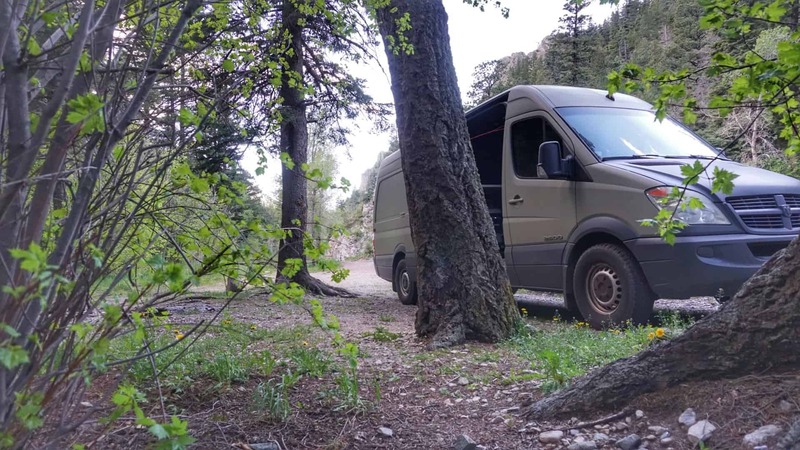 If you are looking for free boondocking campsites near Taos New Mexico, you are in luck! 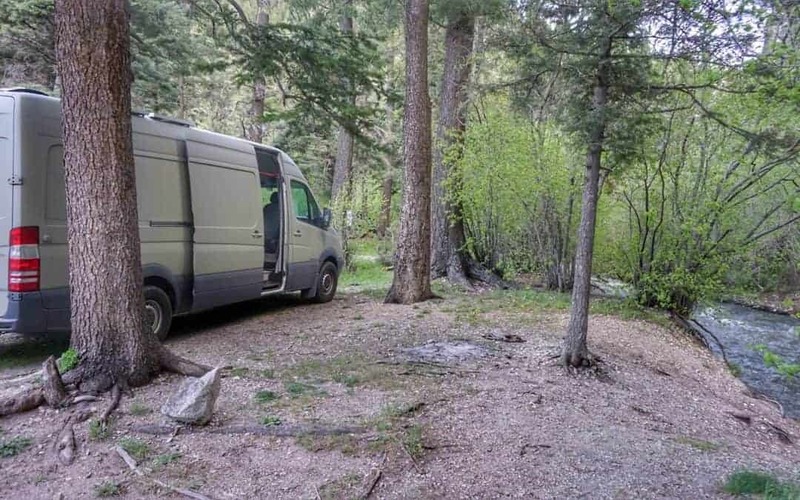 There is a plethora of awesome campsites in the Carson National Forest up highway 150 toward Taos Ski Valley. 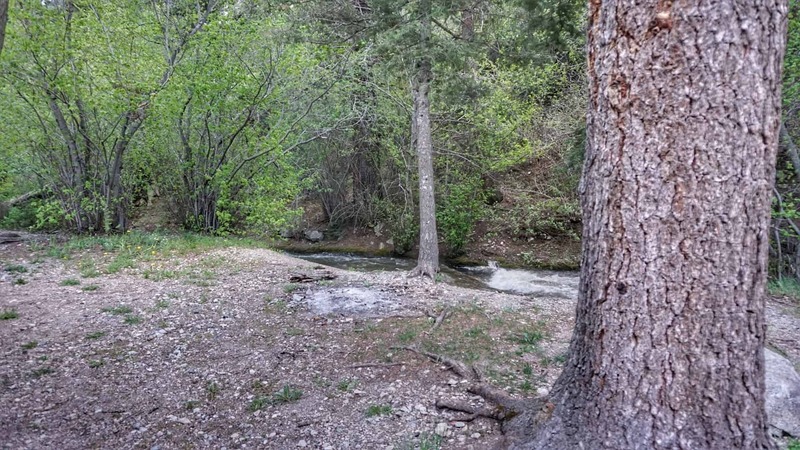 These campsites are great for tent camping or car camping in Taos Ski Valley. We counted 3 actual campgrounds that have picnic tables and pit toilets maintained by the forest service. They were all small, with only 4-5 campsites each, but there were plenty of additional campsites along the river just off the highway. 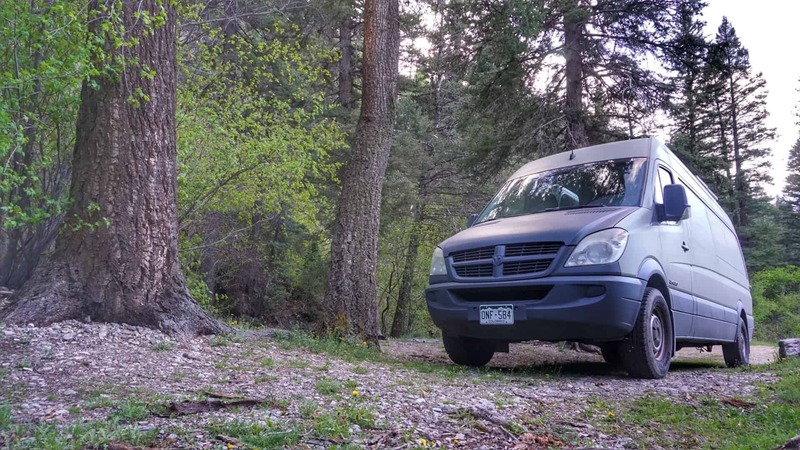 We aren't talking about just roadside pullouts, but actual campsites down by the river, hidden by the trees. They all have existing fire rings as well. 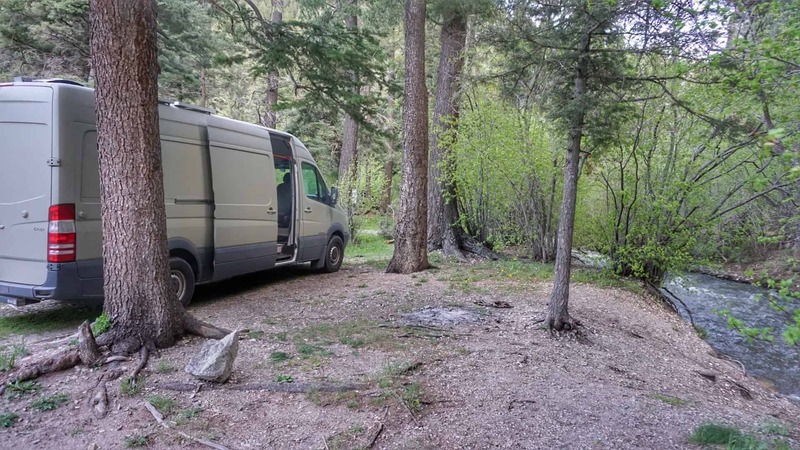 This exact campsite that we stayed at was the perfect size for our Sprinter van and we parked between the trees right next to the river. 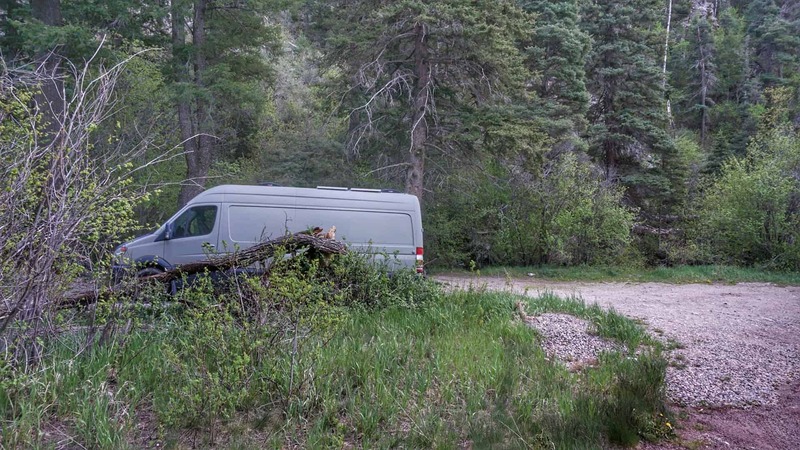 While the campsite was right off the highway, there wasn't much traffic so the noise was not noticeable. Besides, with the river flowing just outside the camper, it was perfect. The map above shows our exact campsite. While there are plenty of campsites along this highway, none of them are suitable for large (30+ feet) Class A motorhomes. 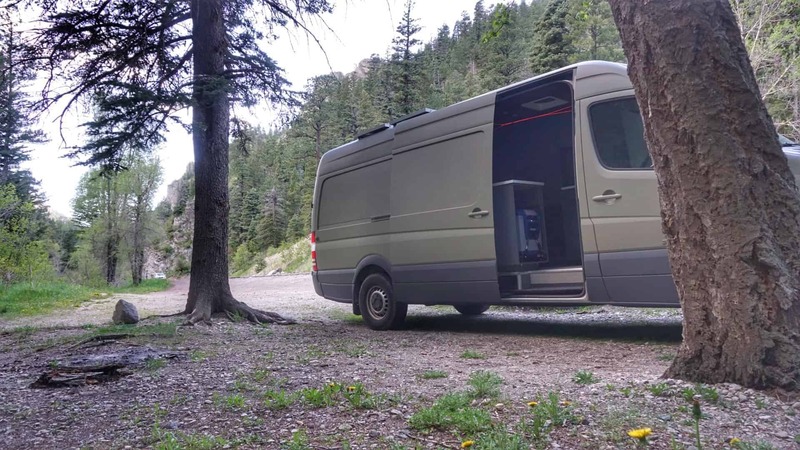 There was one roadside pullout that would have fit a 40 footer, but it was just a pullout, not a campsite, and it was not in a pretty or easily accessible area. There is also nowhere to turn around in something that large unless you go am the way to the ski resort. So, in all, we do not recommend taking anything over 30 feet. 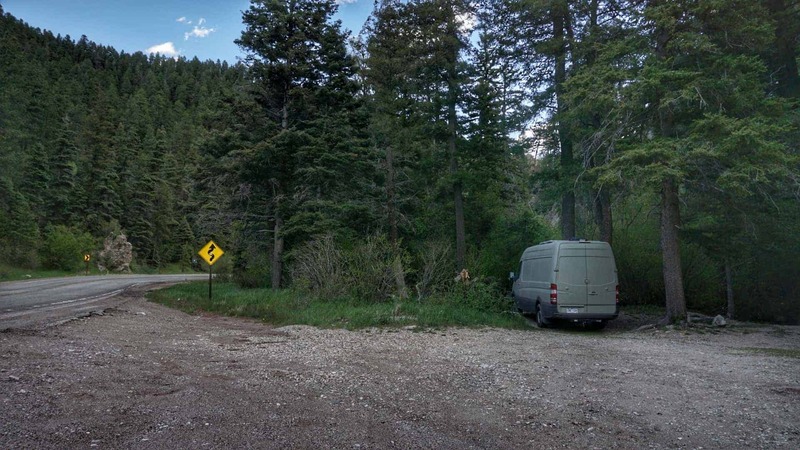 Anything over about 25 feet would be looking at mainly just roadside pullouts rather than the nice campsites. 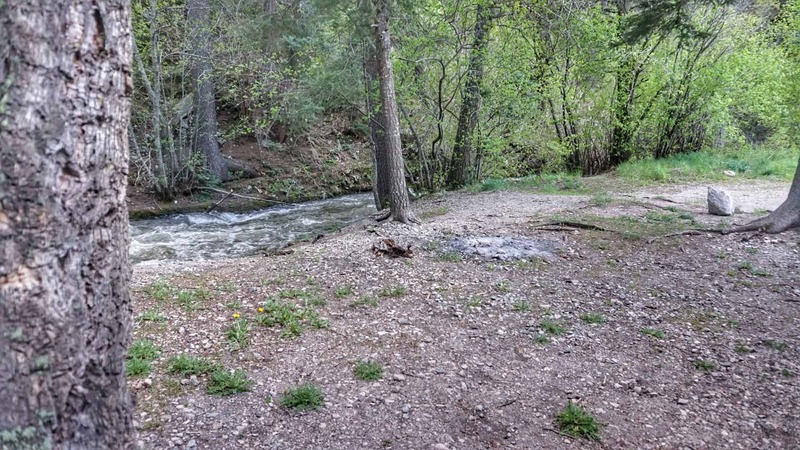 If you do visit this Taos campsite, let us know what you thought of it!